A symbiotic relationship is when two organisms of different species "work together," each benefiting from the relationship. A good example of this is that of the oxpecker (a kind of bird) and the os or zebra. Oxpeckers sit on the zebra and eat ticks and other parasites that live on their skin. 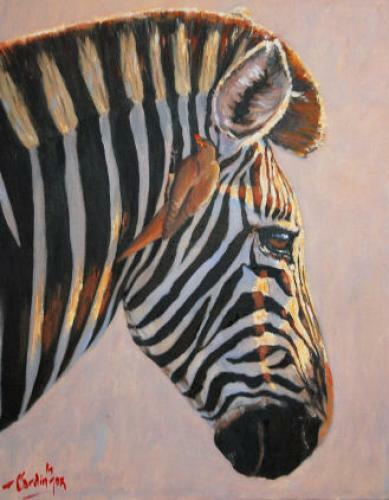 The oxpeckers get food and the zebra gets pest control. Its a win win situation. They also serve as an alarm for the zebra by flying upward and scream a warning. This helps the zebra be alert and aware to any danger lurking.